So delighted with my first piece of taxidermy that arrived yesterday from MANDIBLES. They are South Africa's first NATURAL HISTORY STORE, based in CT. Their collection is ethically sourced. 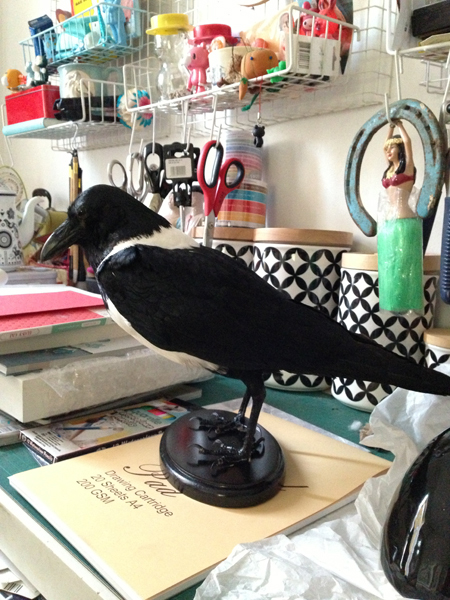 We have named him Mr Corvus and he is a prop for an exciting photo shoot(more on that later) and will have pride of place alongside my EAMES BLACKBIRD in the MESSY STUDIO.